June 2009 – somewhat bookish. 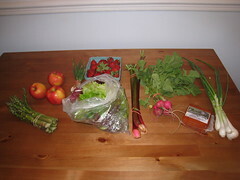 Last Tuesday we had tuna melts with a salad made of CSA lettuce and radishes, and non-CSA carrots. 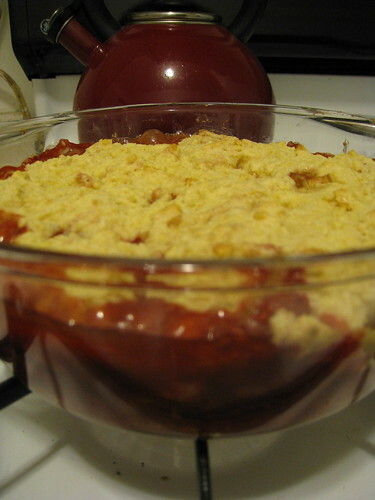 Then I made a Strawberry-Rhubarb Cobbler for dessert. Heavenly. 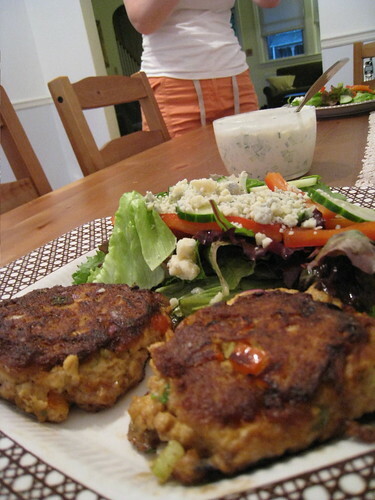 Wednesday we had another CSA salad with our salmon cakes. I ate the rest of the radishes with my lunch one day that week – and Jami had one of the apples. 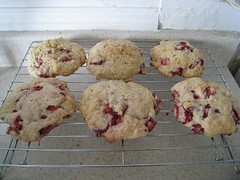 Saturday morning I made Strawberry-Sour Cream Scones with what was left of the Strawberries. Yum. I’ve never been much of a baker. Apparently all it took was a fear of strawberries going to waste :). We had the young shallots as a side dish last night, sauteed with zucchini (I did the same with some spring onions over the weekend). Finally Jami had a cheese sandwich for lunch yesterday with the smoked cheddar. In all, we ended the week, with just 2 spring onions, 2 apples, and some smoked cheddar left.